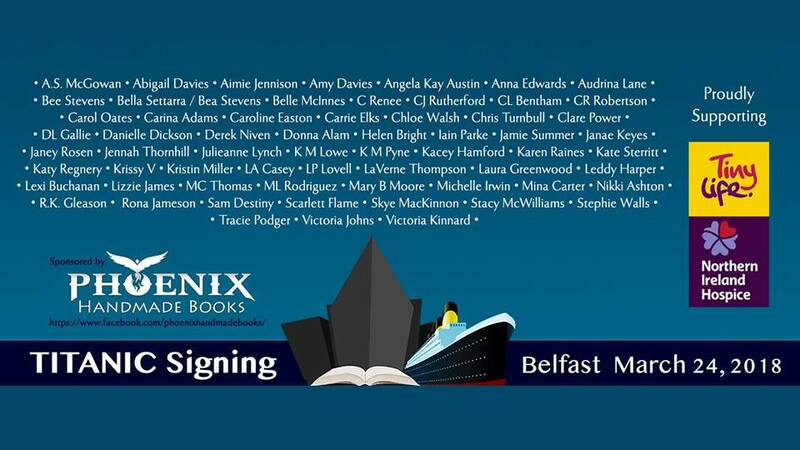 It's less than a day until I head off to Belfast for the Titanic Signing event. 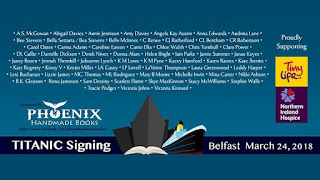 I can't wait to meet the amazing authors who will be attending. I will be bringing along copies of all my books, bookmarks, postcards, and some goodies for readers who stop by my table. 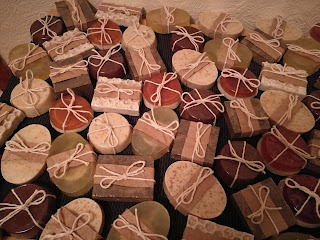 Yep, I will be bringing along a whole lot of soap, some with scents inspired by my books. 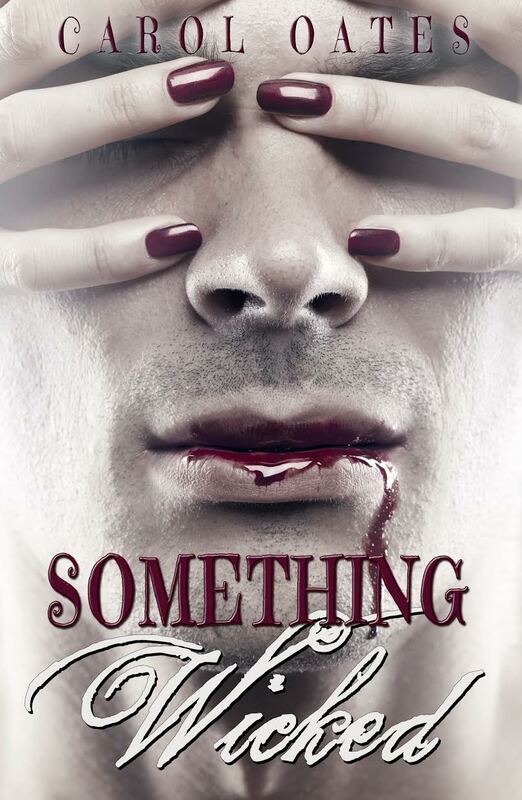 Everything from chocolate, the eye colour of one of characters to coffee for Something Wicked. 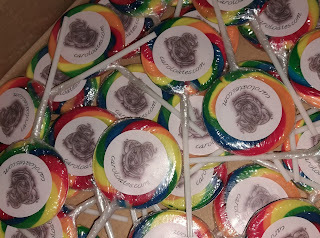 For those with a sweet tooth, I'll have rainbow lollipops inspired by the rainbow roses Caleb gives to Triona in Shades of Atlantis. To top it off, I will also be hosting a giveaway at my table. 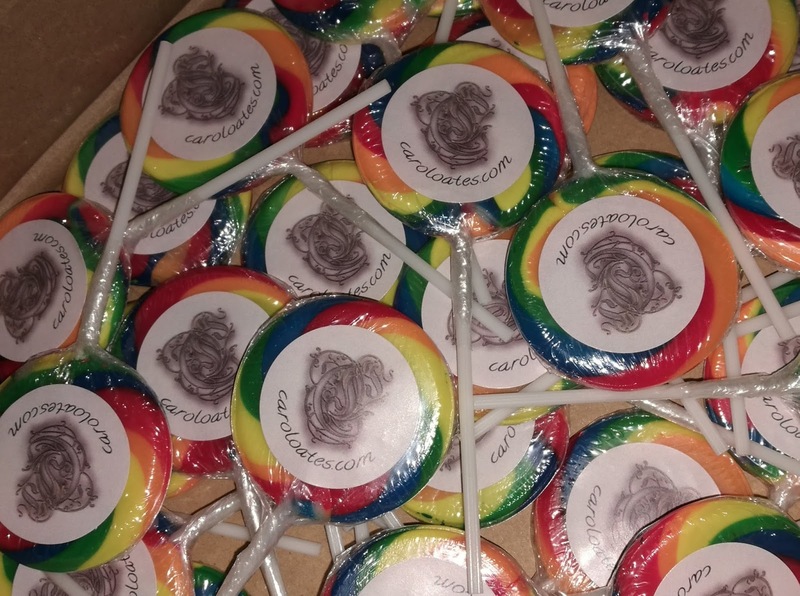 All you have to do is pop along and drop your name and a contact into the fish bowl. 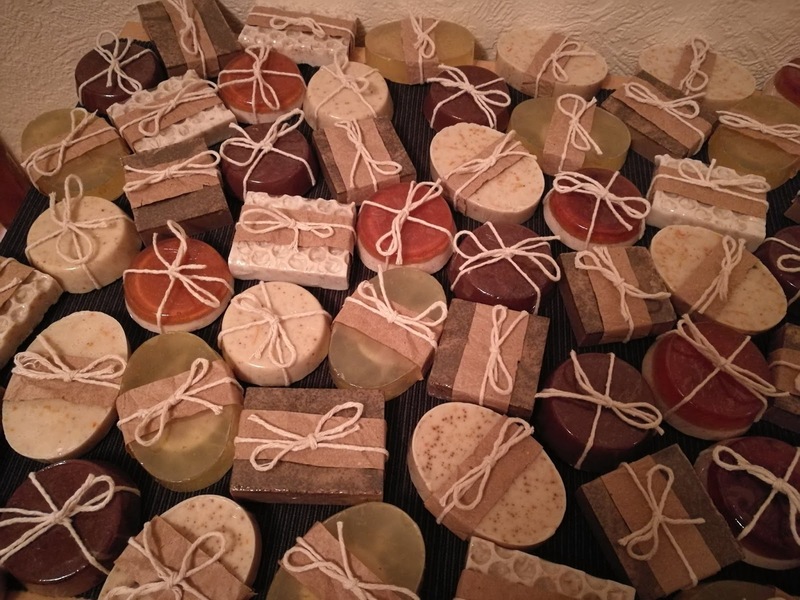 You could win yourself some handcrafted soap, a copy of Something Wicked, plus a signed copy of the award winning book, Forbidden by Feather Stone.